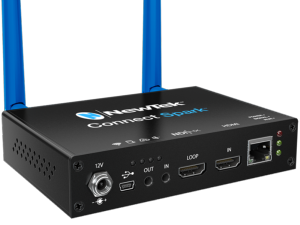 NewTek Connect Spark™ converts your HDMI video source to NDI®|HX to send live video through your local network over Ethernet or WiFi for use with other NDI® compatible systems. Connect your video cameras and other devices wirelessly to your live production system, video applications or streaming device. 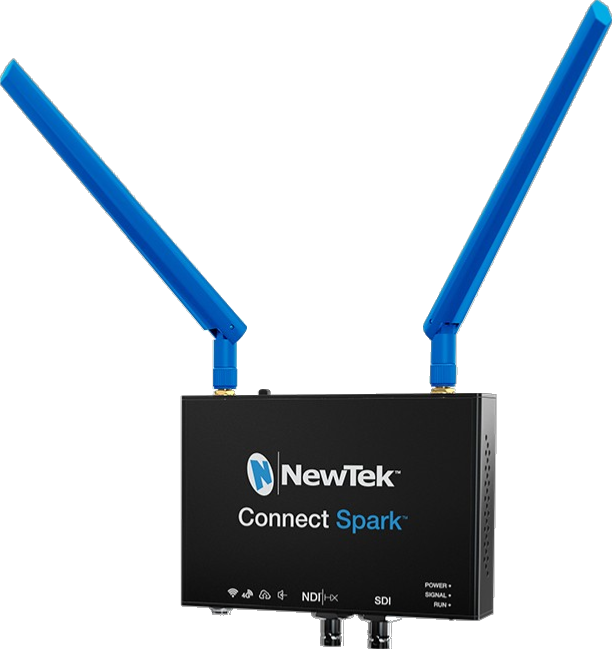 NDI® Output NDI|HX up to 1080p at 60 fps Wired or Wireless. Capture any HDMI video source and convert it to IP, with embedded audio.